Moflon is the top level slip ring supplier of the worldwide,the majority of our employees are staffed in our production department. 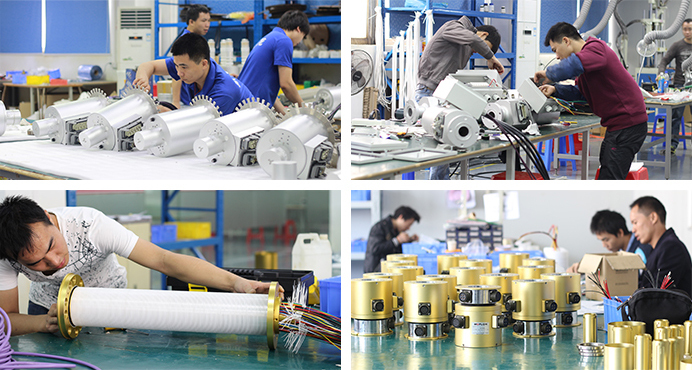 MOFLON has more than 200 employees in the slip ring assembly department who work in high technology factories to produce our first class Industry slip rings products, including high speed dome slip rings, commercial slip rings, military slip rings, power,signal slip ring, etc. MOFLON has set and maintained extremely high production standards and controls, and each and every one of our employees in our slip ring assembly department has been extensively trained. Our skilled and qualified employees follow specific guidelines for every industrial slip ring assembly and OEM process, which has led us to have a lower standard rejection rate than many of our competitors.